Where do you start with wedding planning without being completely overwhelmed? You are engaged? That’s wonderful! Are you wondering where to start planning your wedding? What do you have to do first? Make a guest list? Find a wedding location? Planning your wedding budget? Book a photographer? In the coming weeks and months, a lot of decisions are waiting for you. That can quite overwhelming. Because, as for most newly engaged, this will probably be the first wedding you are planning. Therefore you will not be able to fall back on many own experiences. So it is perfectly normal to be excited and nervous when thinking about planning your wedding. To perfectly quick start your wedding planning, we put together the most important steps and some practical tips for you. Each individual step builds on each other. So it makes sense to consider first which is your overall wedding budget and how many guests you would like to invite. In a next step you can look. which location in terms of cost and number of guests would work for you. O.k…. one step at a time. Take a bottle of wine, time and make yourself comfortable. Because this is the best way to brainstorm together about what you want for your wedding. Do you already have a very concrete idea of ​​what your big day should look like and how it should be? Perfect, then you can go straight to step 2. If not, that’s not a problem at all, it’s natural. Then, the first step is to find out how each of you both imagines your wedding and to develop a common idea of ​​your special day. Give yourself plenty of time, because this step is important to avoid surprises and conflicts during the wedding planning process. 1. A glittering wedding party, an intimate celebration with your closest family and friends or an elopement? An important question you should ask yourself first is, in which context you would like to celebrate your wedding. Do you dream of a glittering party with many guests or a small intimate celebration with your closest family or and friends? Of course, a big wedding can still be personal and even a small wedding can turn into a amazing party. You do not have to write your guest list at this point in the planning process, but it helps to say aloud whether it should be more of a relaxed party in a small circle at your home, a destination wedding or a glamorous gala. 2. Where would you like to get married? The next big questions is, where would you like to get married? You’ve known each other since kindergarten and come from the same city? Then it’s probably wise to get married in your hometown. This has some advantages, especially if your own family and / or friends still live there and can assist you in the planning. But what wedding location should you choose when your life somewhere else or your families live far away from each other or even in different countries or different parts of the world? Of course, you could also opt for one of your hometowns here. But that means that the other part of your family and friends have a longer journey to attend your wedding. Another option would be to get married in a place that is halfway between your hometowns. So most of your guests have a similarly equal journey. Granted, if one of you origins from Europe and the other from North or South America, finding a wedding location halfway could be a challenge. Maybe a cruise ship crossing the Atlantic ocean? If you decide to celebrate your Destination Wedding outside of your hometown – or even halfway – this may mean that not all your friends or family members could join your wedding. 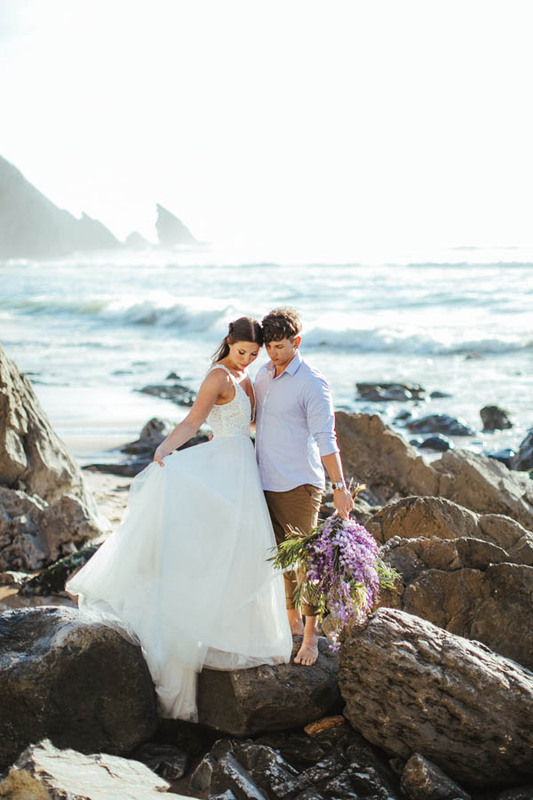 If you plan an elopement, you do not have to worry about all these things. Just the two of you on a beach of a lonely Caribbean island? Or at a mountain chalet in the Alps? Whatever your dream of, at an elopement you enjoy the special moment of your wedding vows just for you. 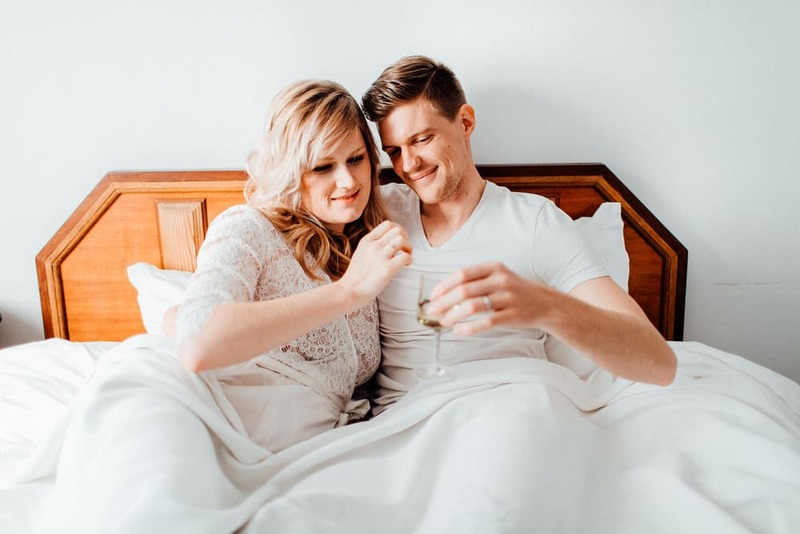 Here are some tips on how to plan an elopement . 3. A church ceremony, a civil ceremony and / or a symbolic wedding ceremony? Do you want a church or civil marriage for your wedding? In some countries a civil marriage is obligatory, in other countries, a religious ceremony is legally effective. If you are getting married abroad, make sure you check in advance the requirements and legal regulations. Would you like to get married in a church? Do you both have the same religion? If not, is an ecumenical wedding ceremony possible? Or do you think more of a civil ceremony. Some registry offices have branches in unusual and very beautiful places and in some countries the registrar can hold a ceremony in any place you wish. 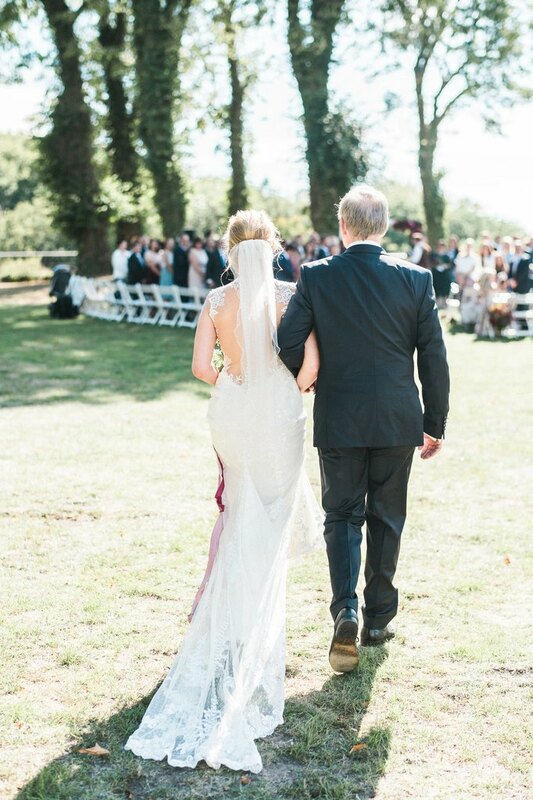 Would you like to get married on a summer meadow? In Germany, unfortunately, this is only possible if you choose a symbolic wedding ceremony. 4. What is your available wedding budget? Now it is time to give you a clear idea of ​​your wedding budget, to make sure you can make the most of your big day. Before you start thinking about individual budget positions, you should first ask yourself what budget you have in total for your wedding. Your wedding budget ultimately decides whether the dream wedding location you wish or the service provider you would like to book fits into your budget. Without this comparison, costs can quickly get out of hand and the joy of wedding planning becomes wedding planning frustration. Therefore, it is important to set a realistic budget at the beginning of your wedding planning. How much does an average wedding really cost? From the big costs such as the wedding location and the wedding dress to smaller items such as guest favors or a corkage fee, the costs of a wedding can add up quickly. An average Hochzeit in Germany costs 18.685 EUR, in the US couples pay an average of 33.391 USD/ 29.457 EUR and for destination weddings couples spend approximately 27.227 USD/ 24.019 EUR. The fact that the average costs for a destination weddings are a bit lower than the average costs of a wedding in the US surprises, but is probably due to the a smaller guest list. The guest list of a destination wedding usually turns out to be much smaller than a wedding in the home town. Of course, as with any statistic, such values are more indicative. Because what couples actually spend varies a lot and depends on the number of guests and the location and many different other factors. Take a white sheet of paper and note the amounts you can make available for your wedding budget. Are you planning to save the money for your wedding, or are you going to take a loan for it? Do you pay for the wedding yourself or do you get support from your parents or other family members? Whatever amount comes out, subtracts at least 15% from this amount and plans this first as a buffer. You will most likely need it in the course of further planning. You should start working with the amount that is now on your sheet of paper. How much costs each wedding item? In the next step you decide how to divide the budget into the individual budget positions. So that you get a sense of which budget positions belong to a wedding and how to share the budget to it, we have developed a budget planner for you, in which you can enter your wedding budget and it automatically distributes your budget to the different budget positions. You can download it for FREE at the end of this post. Take this as a starting point for further planning and ask yourself which positions are important to you and where you would like to set your priorities? Then you can adjust the individual positions to your needs. 5. The guest list: Who would you like to invite? Already in the first step you had to thought about whether you want to celebrate a glittering party with many guests or rather a small intimate wedding with your closest family and friends. Now that you’ve calculated your total wedding budget, it’s time to compare if the number of guests you’d like to invite fits your budget. The number of guests is one of the most important factors for the budget as well as the choice of your wedding location. The creation of the guest list is a minefield. Quickly there is a domino effect and suddenly an intimate wedding with your family and closest friends becomes a party with 150 people. So, think carefully about who you want to celebrate your big day with. Do all coworkers and fellow students really have to be invited? Is it realistic that your distant aunt or 2nd grade cousin is coming to your wedding? Be realistic and set priorities! If you have a clear idea of your wedding budget, this will also help you to realistically limit the number of guests. In addition, the budget provides a good argument if your parents would like to expand the guest list. In our budget planner, which you will find at the end of the article, we have made it easy for you. Based on an average for catering the spreadsheet calculates the number of guests that are realistic within your budget. Please note that this is an estimate that may vary depending on actual catering costs and your preferences. Therefore, you have the opportunity to adjust the value of the catering costs in the spreadsheet, so as to be able to vary the number of guests. If you would like to invite more guests than the budget planner automatically calculates, you will have to cut back on the catering cost in the further planning or save on other budget items. On the other hand, if you invite fewer guests, you know that you can spoil your guests or that there is also one or the other extra for your wedding. 6. Wedding Location: What would be your dream location? The wedding location is one of the most important decisions you make in your planning process. Apart from a wedding planner, it is one of the service providers you should book first. In addition to the budget, the size of your guest list determines which wedding location is suitable for your wedding. For example, a small wedding party might feel lost in a large wedding barn. With a large number of guests, however, some locations may be the right fit because the space is not large enough. Which factors you should consider when choosing the right wedding location, we will show you in a separate post. Dreaming of a destination wedding in Italy or Portugal? 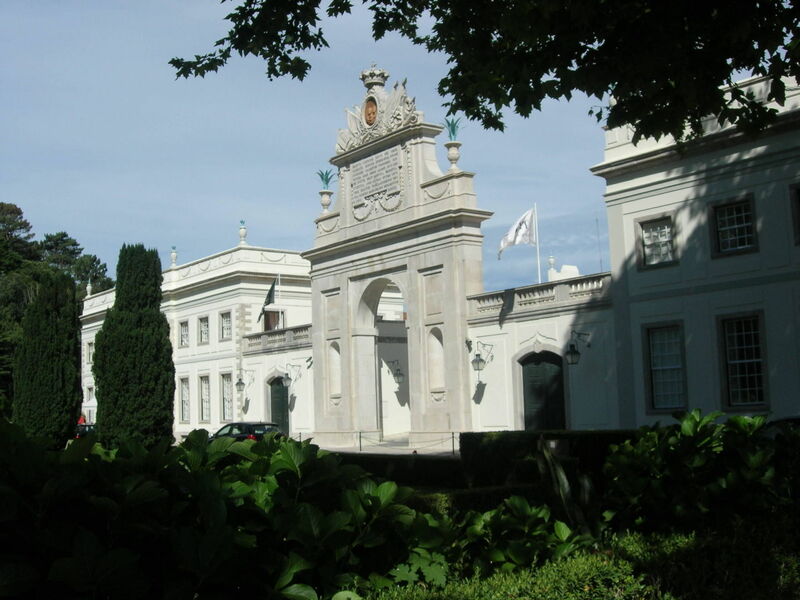 We have put together the most beautiful wedding locations in Portugal and the most beautiful wedding locations in Italy . 7. Your wedding date: When would you like to get married? A romantic wedding in the snow or a party under the open sky on a summer meadow? The time of the year you would like to get married is important for three reasons – weather, budget, and planning time. The summer months from May to September are the most important wedding months in most European countries. Apart from the midsummer, which you should avoid when you consider a wedding in southern Europe due to the very high temperatures, these months are the most popular with the bridal couples. Of course, this also means that beautiful wedding locations and good service providers are often booked long in advance. Therefore, you should calculate a longer planning time. This is especially true if you have a very specific date in mind. The less flexible you are with your wedding date, the longer you should plan ahead. When planning your wedding in the main season, it helps to be flexible. Nevertheless, it is important to keep an eye on a few desired dates in order to request wedding locations and wedding vendors. Make a note of your favorite dates. In the main season, the rental rates for the wedding locations are usually slightly higher. Well, are you exhausted, amused, or both? These steps are just the beginning of an exciting and beautiful journey that will culminate in your dream wedding. The questions have hopefully helped you to clarify what you want for your wedding. You have successfully set the most important cornerstones for starting your detailed planning. That’s a good basis. Do you feel overwhelmed and still not sure how to plan your wedding? And does the thought of wedding planning not only spark your anticipation, but also stresses you out? Then schedule a FREE consultation with us. We gladly accompany you through the planning process and ensure that you can enjoy this unique time. And do not forget: Always keep an eye on what you want and who you are. Because it is your day! Planning a wedding can be quite a challenge. Where to start? What is important and above all … how do you get the costs under control? Have you ever wondered how you should calculate your wedding budget? What should you budget for each item? We developed a wedding budget planner for you, with which you can easily manage your wedding budget. Just keep track! Enter your contact details and confirm the subscription to our newsletter, which will keep you up to date once a month with news and offers from Magnolias on Silk. Do not worry, we did not spam you and if you change your mind, you can easily unsubscribe at any time. 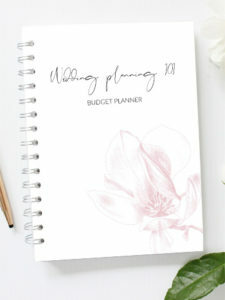 Our useful and FREE budget planner will be sent to you automatically.